Blue and white are not the only colors of Israel! 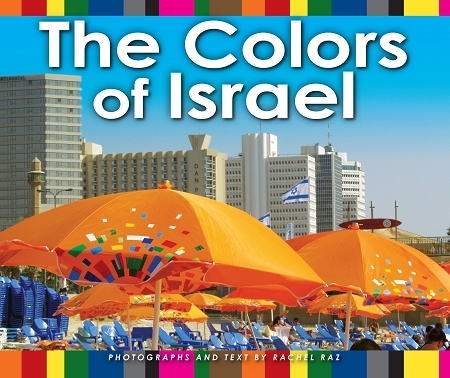 This book by author/photographer Rachel Raz (ABC Israel) showcases the many vibrant and beautiful colors of the land of Israel, from the red double-decker train in Akko to the white dome of the Shrine of the Book, from pink postage stamps to orange beach umbrellas in Tel Aviv. The Colors of Israel includes the English, Hebrew, and transliterated words for all the colors along with beautiful color photographs.